Our Custom Duoflex Lanyards Will Make Your Brand Stand Out! They can be used to handout as promotional giveaways or gifts to both staff and clients. The duoflex lanyards can be customized with unique 3-D imaging, making them great party favours as well. Believe it or not, these lanyards are often given out at birthday parties, bachelor/bachelorette parties, anniversary parties, family reunions, graduation parties, and much more. 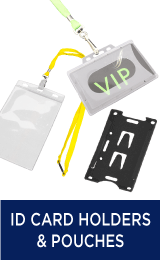 The duoflex lanyards have extensive customization features that sets them apart from the rest. There popular at parties because of 3-D imaging and cut. For example, a 3-D super hero image can be incorporated into your order for a child’s birthday, or you can have champagne glasses put on them for an anniversary party. These duoflex lanyards will give your company name or brand a promotional boost no matter how you intend you use them. 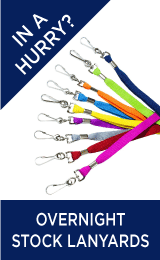 Your company name, logo, or event can be printed on the lanyards in bright vibrant colours. Although 3-D imaging is popular among the party scene, companies can also benefit from this extra feature. 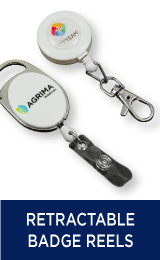 The 3-D imaging will make your lanyards stand out, which will draw in more attention and consumer interest. They’re also incredibly durable, making them ideal for people that work in continuously harsh conditions. These PVC badge lanyards are made from one flat, single layer of polyester. They are given the name duoflex because they feature sections of promo flex PVC decals that set them apart from other lanyards. Promoflex PVC material is both flexible and soft, yet it’s durable enough to withstand the test of time. The PVC section of these lanyards also allows you to incorporate a 3-D image onto each one of the lanyards in your order. Now you can add a little something extra to your company lanyards. The PVC material also makes these lanyards comfortable to wear on a daily basis because the material is soft to the touch. The PVC can be cut into virtually any bespoke shape upon special request, and we can use up to 4 different pantone colours on your lanyards. Pantone colouring ensures long lasting vibrant colours, that will compliment your company name or logo. The pantone colouring can also be matched on both sides of the lanyard, including the PVC section. The standard width options that you have with the PVC section is 10mm, 15mm, 20mm, or 25mm. Most of our lanyards can be cut to any length as well. So if you’d like to customize the length of your lanyards, you should contact a customer service representative. There are various different colours schemes for you to choose from as well, so you can create a design that will perfectly define your business. There is also a wide range of different fittings available for you to choose from. Some of the fittings we offer have a more traditional style, and are good for securely holding badges, ID, or even keyrings. However, we also carry fittings that have additional uses and/or functions, like our safety clip fittings. The safety clip fittings can add a certain level of safety to your order of duoflex lanyards. The clips can be quickly released in case they were to get caught in something. There are also fittings that make the lanyards adjustable in length, or come with additional accessories. Such as a whistle fitting or phone/camera holder. The whistle fitting is ideally used by sports teams, schools, and camps. If you’re ordering these duoflex lanyards as a party favour, the whistle and phone holder attachments are probably your best choices. All of our lanyards are completely customizable. 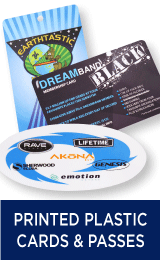 They can be customized with 3-D bespoke PVC cutouts, and you can have your company name, brand name, logo, or event name printed on each of the lanyards in your order. Customer satisfaction is our number one priority. We want to make sure you’re getting quality made products, at cost efficient prices. That’s why we offer all of our customers a Price Beat Guarantee. If you find these lanyards at a cheaper price somewhere else, we will drop our prices to beat theirs. 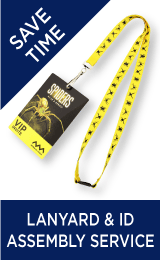 Would you like to order lanyards, but don’t know if they will get to you in time? No problem. We offer a rush delivery service for anyone that is pressed for time (conditions may apply). Our team of designers will even create a virtual sample of your order, before they go into production.